I took a break from all the home renovations and spent last weekend in Cebu. 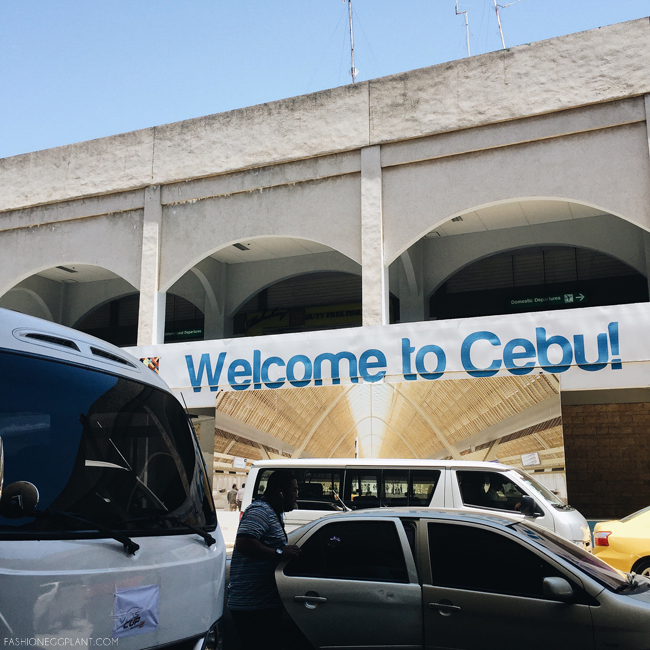 Crazy as it may sound to leave your workers midway into their job but I just couldn't resist the invitation to visit Cebu. 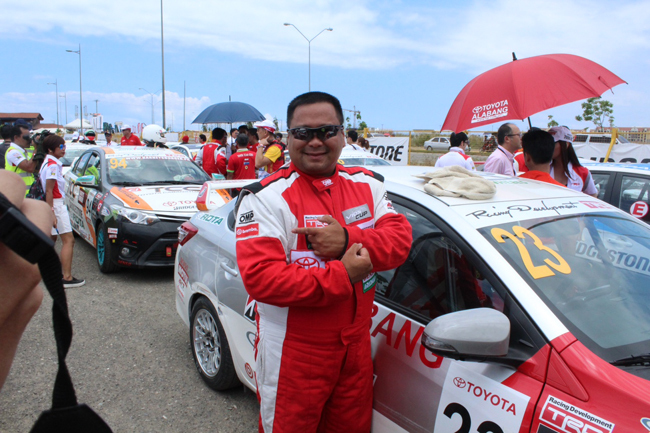 It was going to be my first time and I was also flying to cover the 2nd Vios Cup. Those who know me well know that I can never resist a good race. 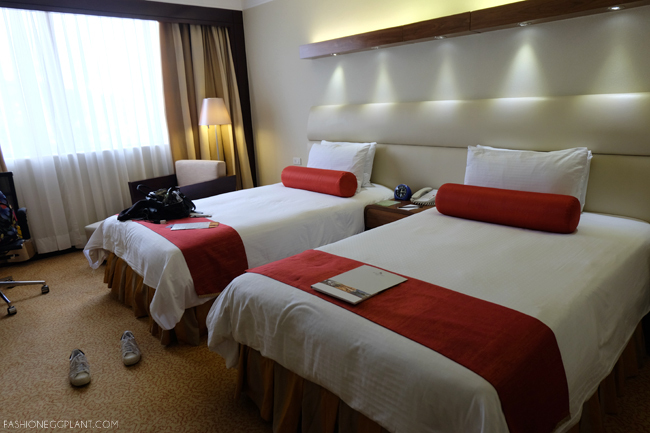 I left Manila early Saturday morning and arrived in Cebu around 9am. We were shuttled to our hotel upon landing and I immediately fell in love with Cebu and it's topography while en route to Marco Polo. I had it all to myself and let me just say, it was such a welcome sight after having to sleep in makeshift quarters for about 2 weeks. But I couldn't enjoy it just yet. 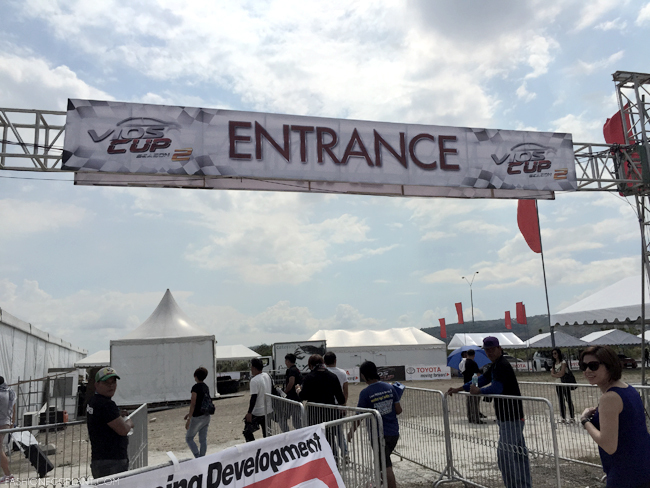 After checking in and having a quick lunch at the hotel cafe, it was time to visit the track for qualifying day. 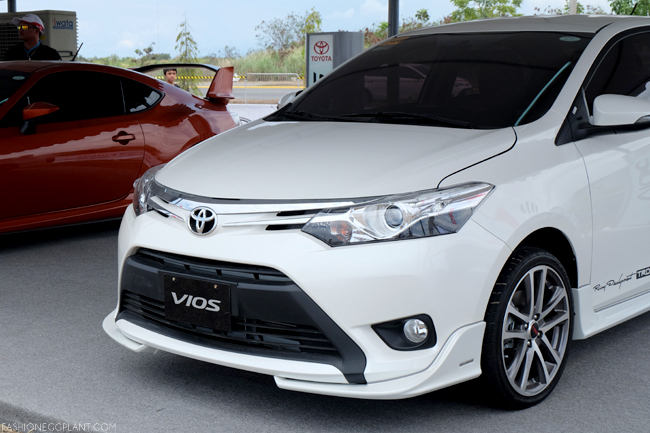 The 2nd leg of the Toyota Vios Cup in Cebu was held at South Road Properties. A picturesque location right by the ocean reminiscent of The Fort and MOA mashed up together. 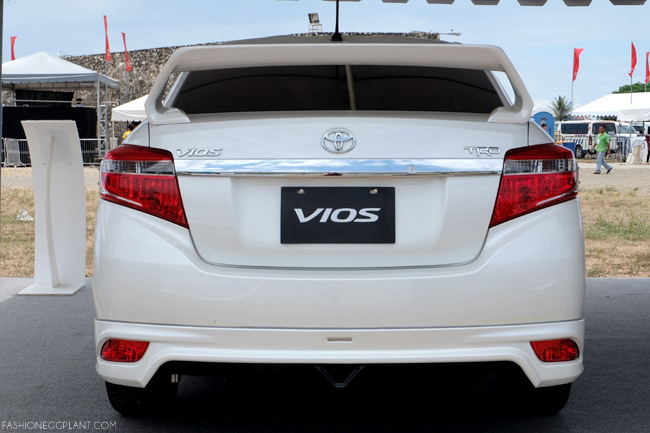 The 2015 Toyota Vios TRD! Souped up and all ready for you to play with. Apparently, this version is available for purchase upon request. 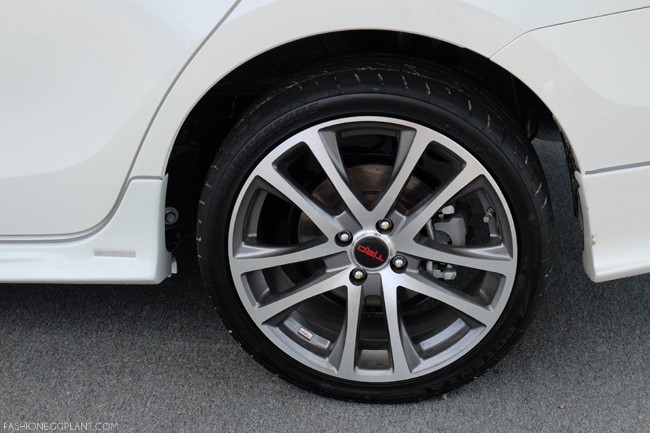 And judging from the way it performed on the track, it seems like it handles pretty well on the road as well. It takes tight corners like a charm. Now that we're done with the fan-girling, back to the cup. For qualifying day, we were allowed a few minutes to photograph the drivers in the morning. 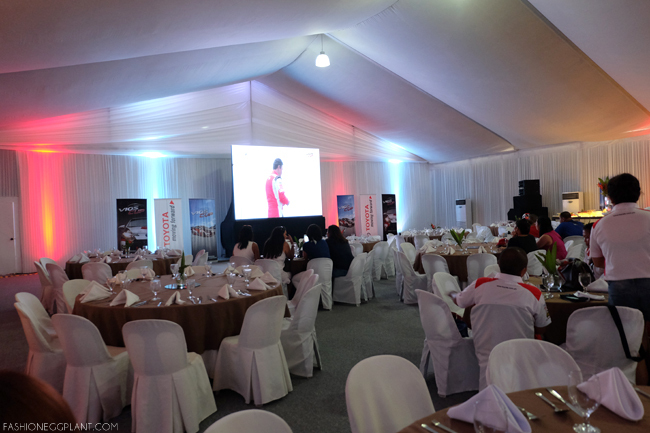 The rest of our afternoon was pretty much spent inside this VIP tent where we could view what was going on at the tracks on a large screen. 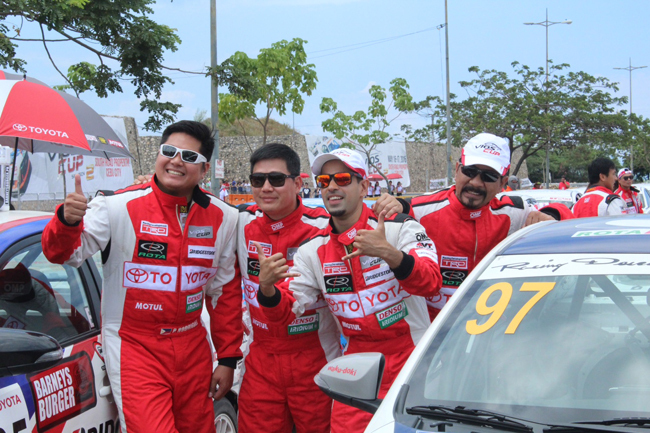 DJ Sam YG landed pole position for the promotional race bracket. 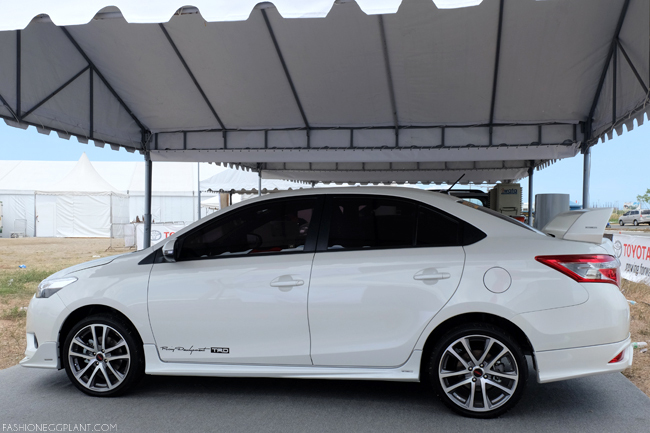 Other celebrity drivers included Derek Ramsay, Phoemela Baranda, Jas Curtis-Smith, Dominic Ochoa, Jinno Rufino, Fabio Ide, Kylie Padilla, and JV Ejercito. 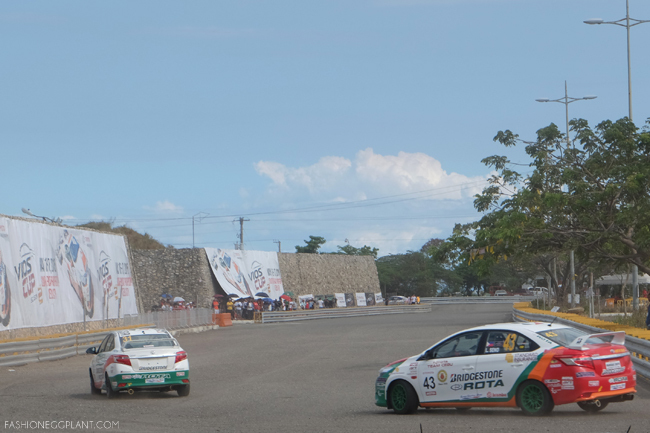 For the sporting bracket, Carlos Castañeda managed to snag the number one position with Jason Choachuy and Andres Calma following consecutively. All car engines were left stock. Only their suspension was upgraded. 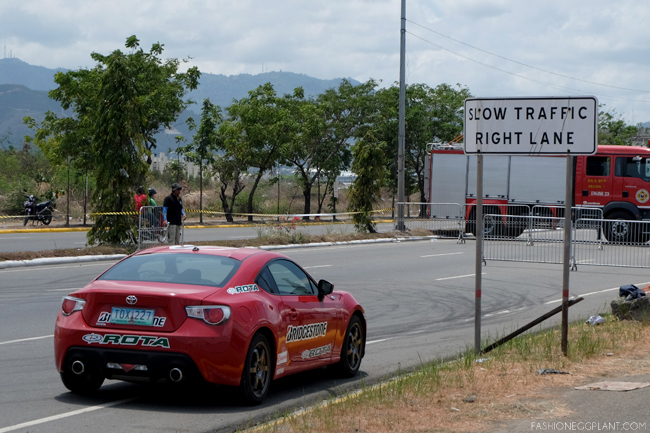 For more racing photos, visit the TopGear Philippines page. After the qualifying rounds were finished. 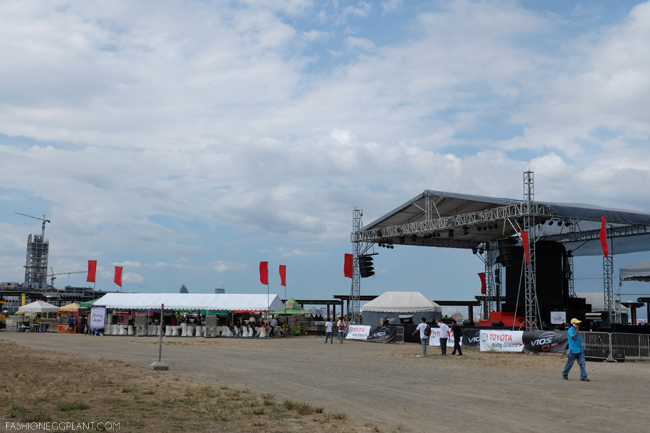 Spectators were treated to a thrilling exhibition by Drift King' Keiichi Tsuchiya. Some were even lucky enough to ride along with him. It was definitely a WakuDoki experience! 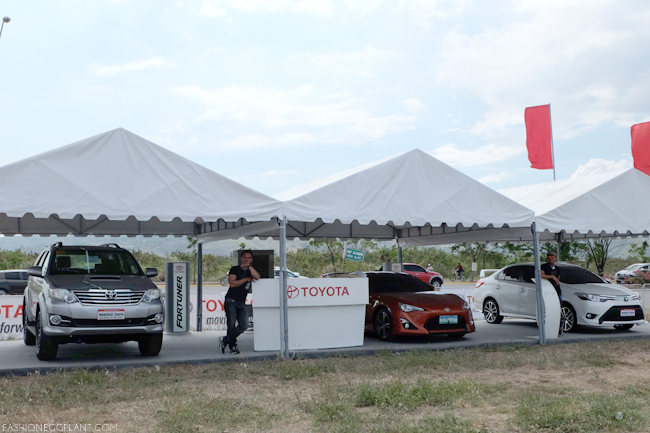 Big thanks to Toyota Motor Philippines and Digital Mind for making this happen. This event looks so exciting! Cool event! Cars, lovely ladies and Cebu!!! Exciting event! And a trip to Cebu along with it.